Made on a high quality rust free aluminium roller tube. Made from either 100% polyester semi-opaque fabric or 100% polyester opaque blackout fabric. We’re really excited to have an exclusive collaboration with order blinds for roller blinds across our designs. The digitally printed blinds have been expertly matched to our products. 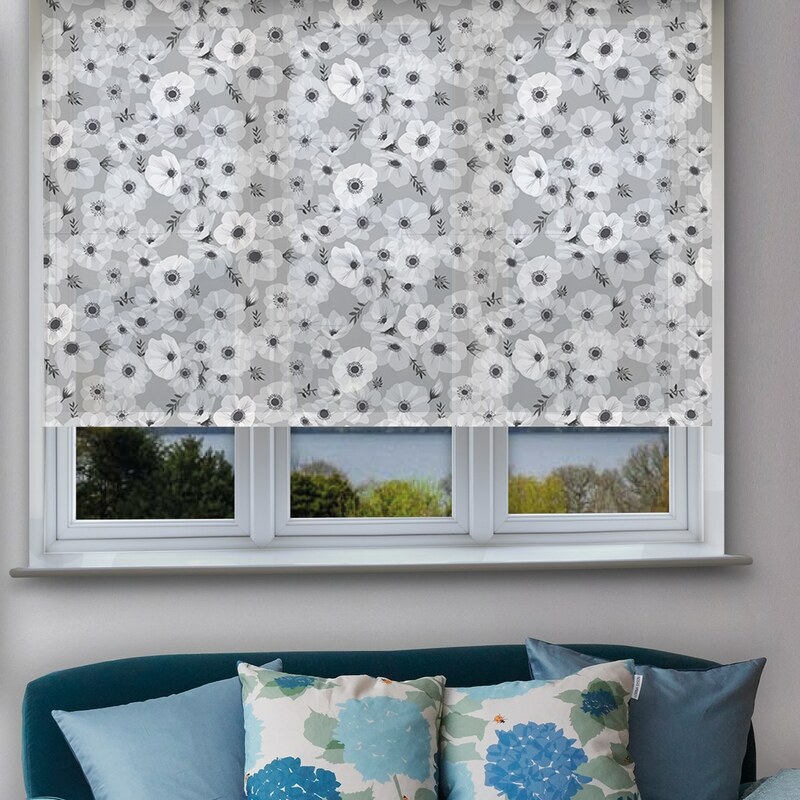 This floral design in grey hues features a bold, pattern of poppy flowers and anemones. Poppies and anemones are amongst some of Lorna’s favourite flowers, they featured heavily in her wedding bouquet.